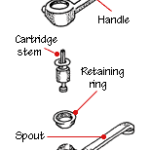 Expert advice on kitchen and bathroom faucets, with buying guides, illustrated faucet parts diagrams, faucet installation and repair tips. Beyond its role as a conduit for delivering water to a sink, a faucet can set the tone for a kitchen or bathroom’s personality and style. If you have ever shopped for a new faucet, you’ve probably discovered that your options are seemingly limitless. Many different styles, finishes, technologies, and price points are available. Options vary from high-arching goose-neck faucets to wall-mounted spouts and wide-set models. Faucets come in materials and finishes that vary from silvery chrome to brilliant brass. Kitchen faucets are available with removable spray heads, hot/cold water dispensers, and drinking-water filtration systems. Most faucets are used repeatedly, day after day, for many years. This is why it’s important to select a faucet that’s more than great looking when it’s time to buy a new one. It’s easy to mistakenly think that a shiny brass finish designates quality, though this isn’t necessarily the case. 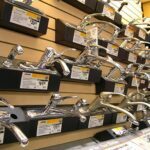 It’s important to have a clear idea of what to look in price, finishes, internal workings (the differences between ceramic-disc, compression, and cartridge faucets), and more. 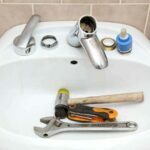 In the articles listed below, you will find helpful advice for buying the right faucet for your kitchen or bathroom and DIY guidance for installing it. 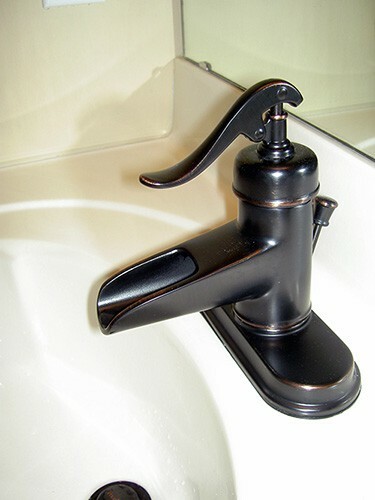 You say you already have a good faucet but it’s dripping? This, too, is where you’ll find help with care, and repair.